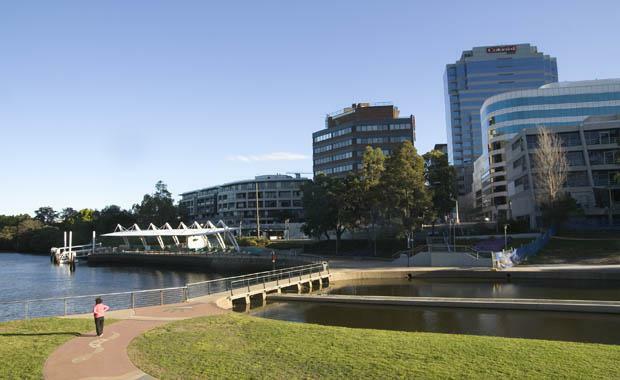 The city of Parramatta serves as the commercial hub of Greater Western Sydney catering for approximately 92,000 workers from the region. Parramatta CBD alone caters for approximately 37,500 of these workers. The city has the second largest economy in the state of New South Wales, reporting a headline Gross Regional Product of AUD $16,416 million in 2013. As Sydney’s most important suburban office market, Parramatta has long been the beneficiary of New South Wales government decentralisation and corporate rationalisation initiatives, with many public sector departments and private financial institution back-office operations now located there. However, a recent increase in both population and residential development will result in a significant change to the profile of the city. The CBD currently caters for approximately 9,600 residents across 3,657 private dwellings. However dynamic growth is in prospect. Id Consulting, an urban advisory and planning business, forecasts population growth of 86% to 17,900 residents by 2021. Matching this population growth is a robust residential supply pipeline with approximately 7,550 medium-high density dwellings to be delivered to Parramatta over the next six years. More than half of these are in the advanced planning stages with 31% already under construction or with their contracts awarded, and a further 38% with plans submitted or approved by council. This supply pipeline will facilitate the evolution of Parramatta CBD into a more-rounded and liveable city for workers and their families, with the entire supply pipeline located within a 2km radius of the CBD centre. The city has a high level of social infrastructure with a sporting stadium, theatre, public pool, restaurants, medical facilities and an efficient public transport system. However with substantial population and housing growth, it currently lacks the necessary educational facilities. This is about to change. The University of New England already has a satellite campus in Parramatta and the University of Western Sydney is interested in a 26,000 sqm new office development at 169 Macquarie Street. However, the provision of primary and secondary educational facilities remains a problem. The Catholic Education office in Parramatta has recognised the shortfall within the city as they struggle to meet thriving enrolments while battling limited space. The problem is they have no more land on which to build. As such, now is the time to question if the 20th Century model of separate primary, secondary and tertiary educational facilities will meet needs of the evolving community. The Catholic Education office considers this not to be the case with plans to place schools in high-rise buildings and shopping centres in order to meet educational demands and minimise travel for parents. Additionally, several public schools in the area have presented as an opportunity to merge into one high density facility, whilst non-government schools are expressing their interest in the high density learning centres. About the author -Alison Spiteri is the Research Analyst for JLL, based in Sydney, Australia. Published via JLL Blog.